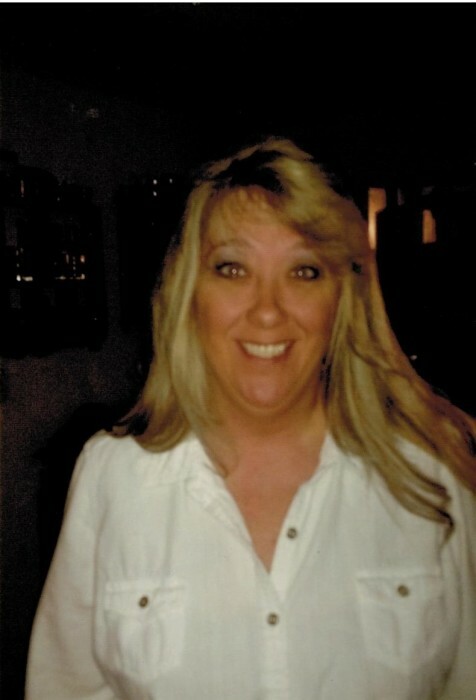 Tammy L Huber, 50 of Dugger, Indiana passed away Friday April 12, 2019 at her residence surrounded by her family. She was born in Grand Rapids, Michigan October 31, 1968 the daughter of Barry Miedema and Beatrice (Wilson) Miedema. Survivors include her husband, Fritz Huber Jr., her parents, one son Nic Miedema-Leonhardt of Grant,Michigan, two daughters, Kayla Kamstra (Cameron) of Jasonville, Indiana and Shawna Brinson of Linton, Indiana, three step sons, Alex Huber of Anderson, Indiana, Ben Huber of Anderson, Indiana, and Zac Huber of Anderson, Indiana, two brothers, Michael Miedema of Hudsonville, Michigan, and Josh Wilson of Rockford, Michigan, three sisters, Michele Benboubaddi of Sparta Michigan, Amanda Miedema of Cutterville Michigan, and Jo Ellen Miedema of Calendonia Michigan, three grandchildren, Marley Brinson, Nova Brinson, and Tesla Wendel. Funeral services will be held at Newkirk’s Funeral Home in Dugger, Indiana on Tuesday April 16, 2019 at 1:00 P.M. with Minster Bryan Shelton officiating. A visitation will be held 11:00 A.M. until the time of the service. Interment will follow at Dugger Cemetery in Dugger, Indiana. In lieu of flowers donations can be made to the funeral home to help with final expenses.